When Turkish President Recep Tayyip Erdogan (left) gave a speech in Washington last month, his guards threatened and assaulted journalists covering the event. At right, a police officer steps in to protect a Turkish journalist. 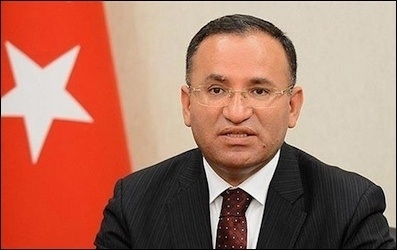 Turkish Justice Minister Bekir Bozda accuses Twitter of having "censored" a pro-Erdogan hashtag. As Aykan Erdemir, a former opposition member of the Turkish parliament [now a fellow at the Foundation for Defense of Democracies in Washington], said, Erdogan can be a "toxic asset": "Heads of state don't want to be in the same photo with him."